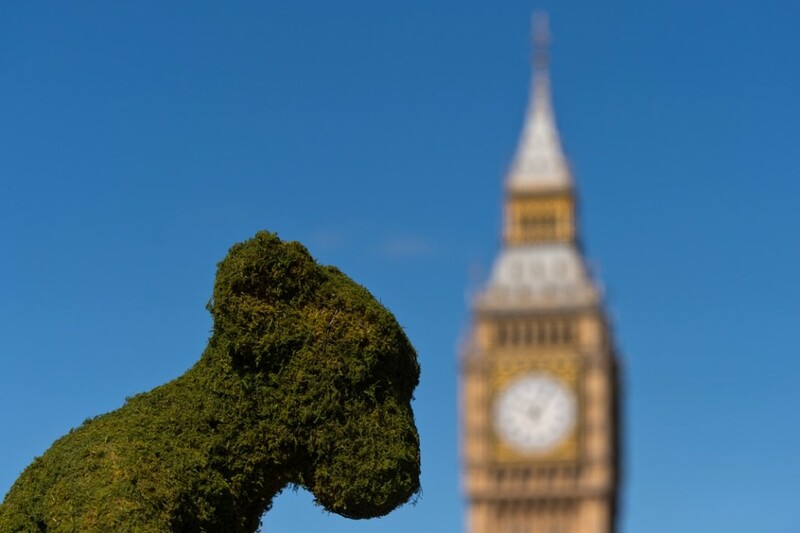 The Body Shop is a great British business that has gone global. It’s well known for its campaigning stance on environmental issues and, as part of this commitment, they’re investing in an ambitious ‘Bio-bridges’ project with the World Land Trust. Bio-bridges are restored ‘wildlife corridors’ in damaged landscapes that help endangered species to thrive. The first Bio-bridge project has just started in North Central Vietnam where 14.5 million square meters of rainforest will be reinstated through Body Shop investment and donations from customers’ in-store purchases. The Body Shop works with partner companies that share a similar vision about sustainability and care for the environment. Their PR, Another Word, had no hesitation in coming to us for help with the project’s promotional campaign. 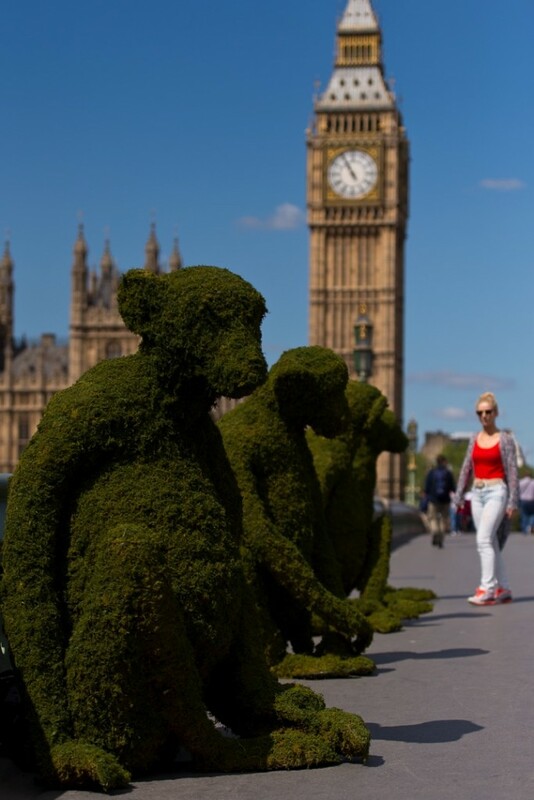 The photo below shows the impressive 1.8m tall topiary Red Shanked Douc monkeys we made for display on Westminster Bridge. The Red Shanked Douc is indigenous to the area of Vietnam where the Bio-bridge is located and on the International Union for Conservation of Nature red list of endangered species. 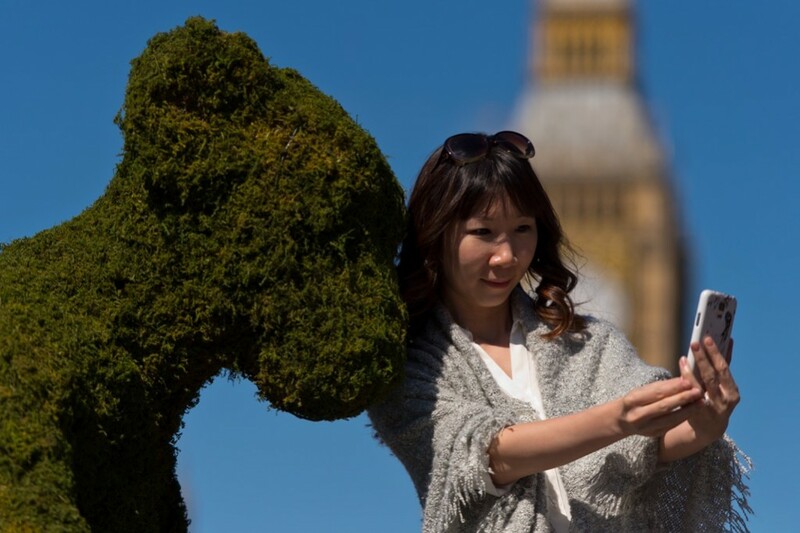 The topiary animals were fabricated at our New Forest nursery with our usual care and attention to anatomical detail. The difficulty was obtaining permission from Transport for London to site the figures on the bridge – its structure with the trefoil patterning and paintwork are statutorily protected. 1p from every purchase made in Body Shop stores will be going towards the Bio-bridges initiative. We’ll be shopping there – will you?